I have been riding since the age of 7, starting with having riding lessons at various stables and moving on to loaning a pony that was in a field 5 minutes from my house. 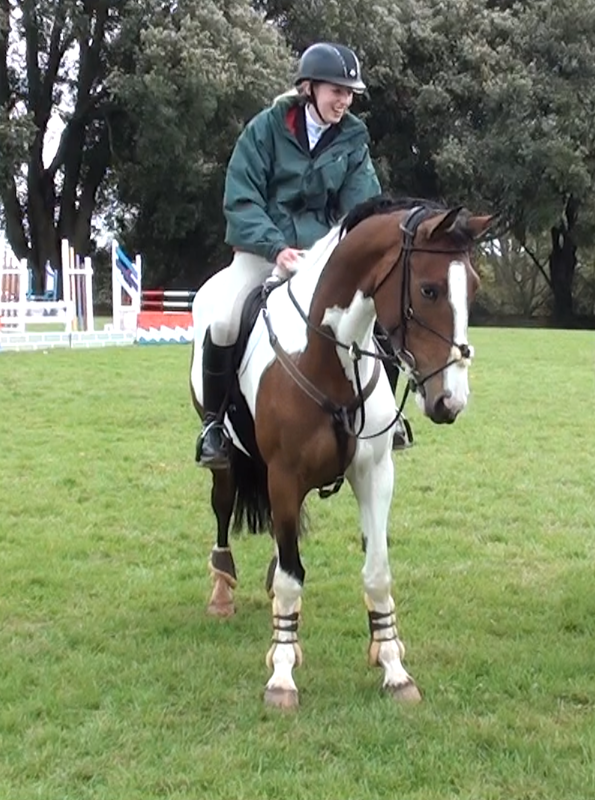 In 2007 I was bought a pony and started competing in the local area with great success and many wins. I quite quickly outgrew him so he was sold to a friend at the start of 2009. My next horse I was very kindly given on loan She was called Rosy Rumour. I gained a great amount of experience from Rosy including qualifying and coming 4th and 5th in classes at the North Devon Show. In 2010 I bought Tedwinkle. a wise and experienced jumping schoolmaster, I competed him in showjumping and dressage. Ted taught me a huge amount as he was not easy to ride as he was very sensitive. He was sold mid 2011 to a lower level competition home. For the last part of 2011 I bought Dazzle Me Ruby as a project horse to sell on, after putting a lot of time and effort into producing her she was sold at the start of 2012. I was then loaned Gran Charisma, a top competition horse, on whom I learnt invaluable ring craft and the importance of accuracy in the higher levels of showjumping. This brings us to 2013, I have now owned Lexi for nearly 1 year, she is progressing fast and jumping British Novice with scope and confidence to go on. I aim to ride and look after any horse in my care with a healthy and sound future in mind, making the most of what they can offer.